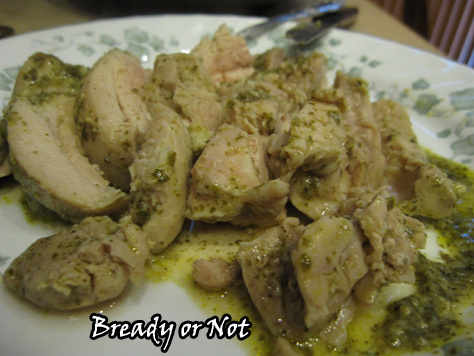 I present to you one of my very favorite chicken crock pot recipes, one I previously shared at Novelocity. Seriously, I’ve been making this about once a month for a few months now. My husband even requests it. This is impressive since he 1) does not like ranch dressing 2) does not eat pesto. There’s something about the combination in this recipe, though, that is just plain savory and delicious. This is my go-to meal when I’m on a writing deadline. It mixes up in five minutes and cooks itself over the afternoon, and produces chicken to feed us–quite happily–for days. 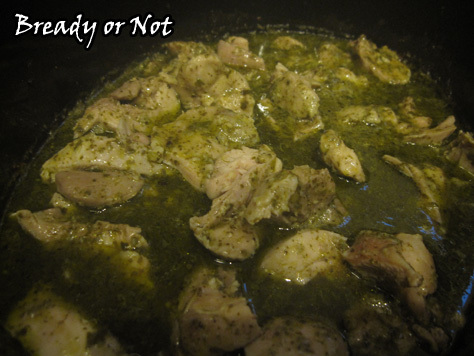 Place chicken thighs, pesto, ranch dressing (dry from the packet) and liquid into crock pot. Stir gently to coat chicken and combine everything. 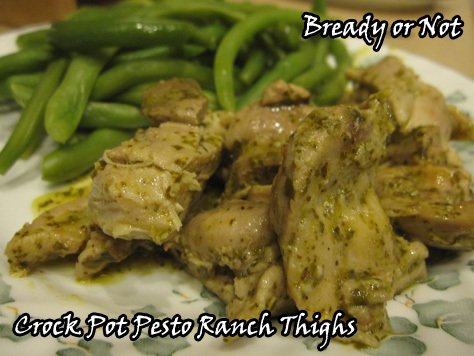 !These thighs are great with veggies, or in a salad, or cold out of the fridge. They also freeze wonderfully. In recent years, we’ve been trying to eat more healthy stuff. 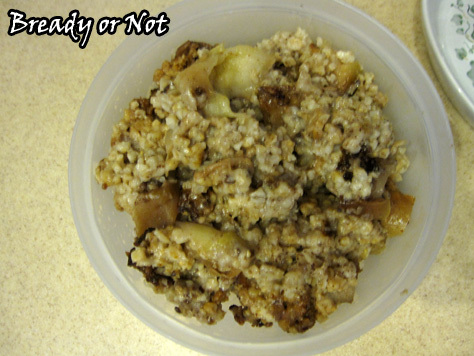 That means I’ve been trying more alternative grains like quinoa (okay), amaranth (bleh), and steel cut oats. 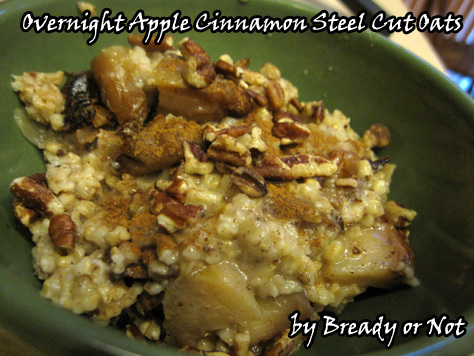 What are steel cut oats, you ask? They are oats that haven’t been processed as much. They take longer to cook and they have more texture and more nuttiness to them. That whole texture things means they are awesome when slow cooked in the crock pot. It takes maybe ten minutes to throw everything together the night before. I don’t bother peeling the apples. Just chop, combine everything, put the lid on, close the pot. Keep the crock pot on “warm” and the slow-to-rise people can get their food, too! Really nice thing? The leftovers. Stash them in the fridge, and for several days–maybe all week–you can scoop some out, zap it in the microwave, and go about your day. Modified from Jamie Cooks It Up. Spray the inside of your crock pot with cooking spray. Pour all ingredients (except the toppings) inside. Stir. Cover and cook on low for desired length of time--10 hours is our usual. 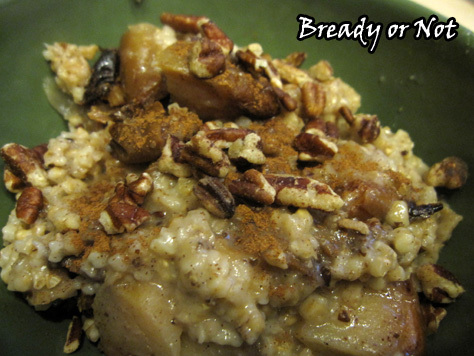 Dish up oatmeal and add desired toppings. !OM NOM NOM all week long!